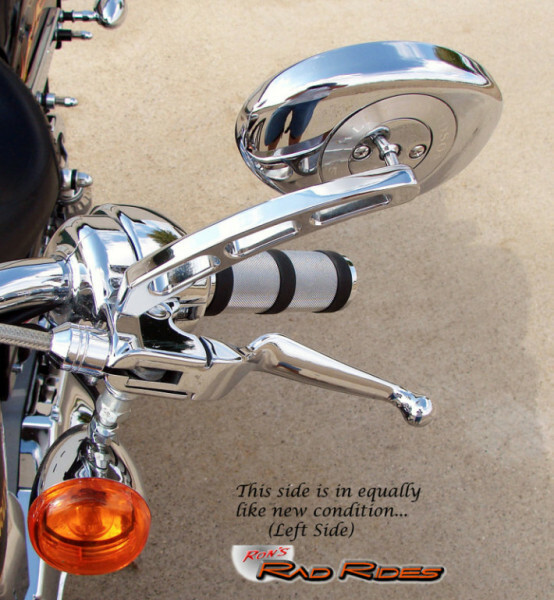 VERY HARD TO FIND!! 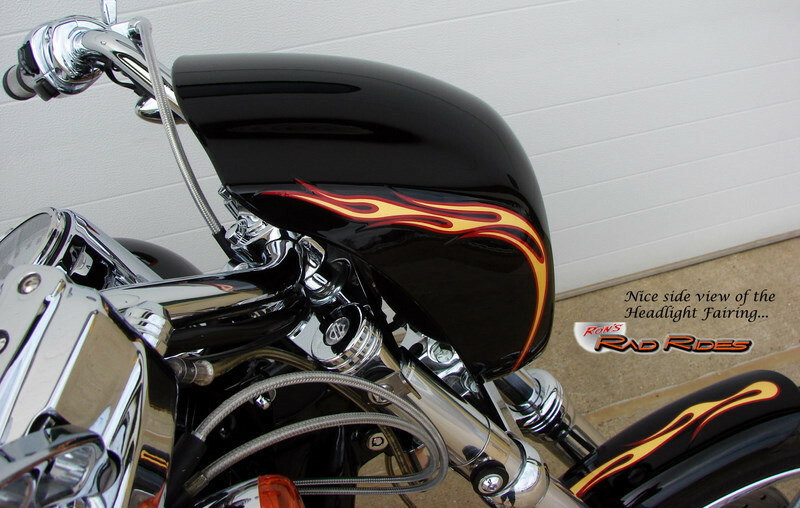 (Vivid Black with Gold Flames) in SUPER condition..!! 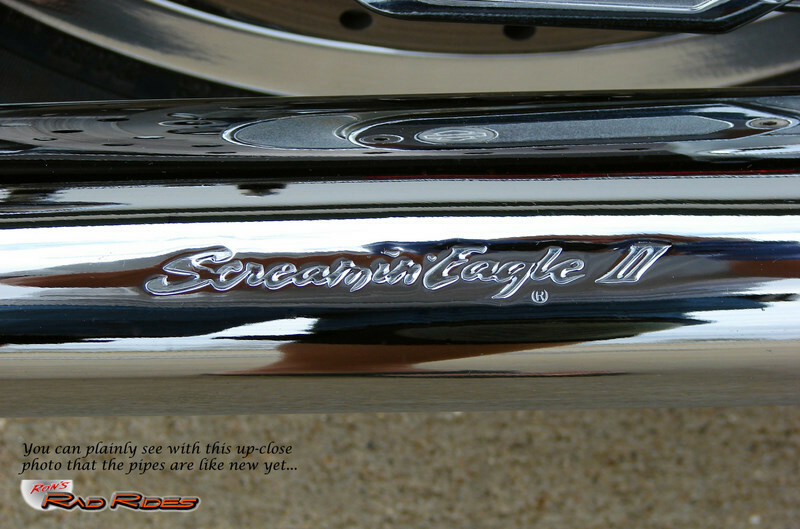 Harley Davidson did build the first Wide Glide Screamin' Eagle CVO called the FXDWG2 one year earlier (2001), in the Scarlett Red and Gold Flames color combination which is also a VERY nice motorcycle, however there was about 1700 of these built and consequently they are considerably more prevalent and many more available for sale. 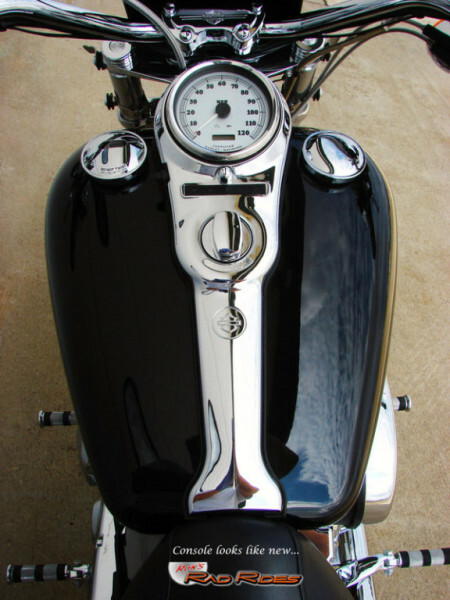 There were about 1950 of the 2002 FXDWG3 CVO's built in 2002, but about 1250 of them were built in the Navy Blue Pearl with Silver Metallic Flames color combination. 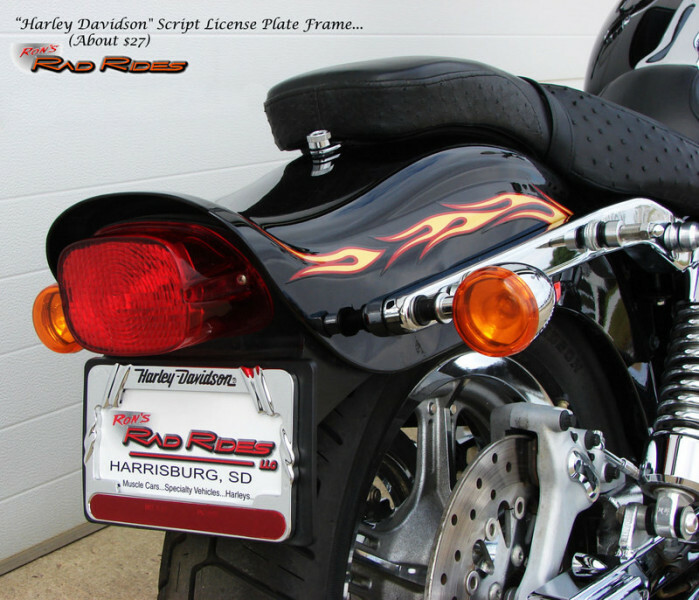 There are generally quite a few of these bikes available for sale and the color combination is not nearly as popular. 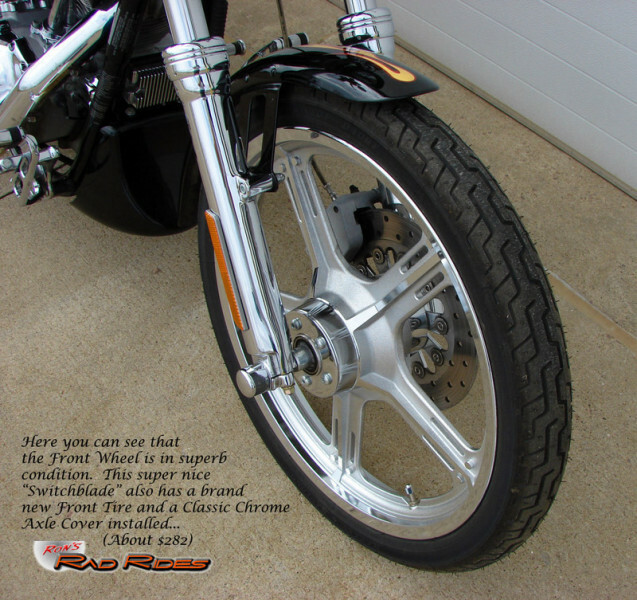 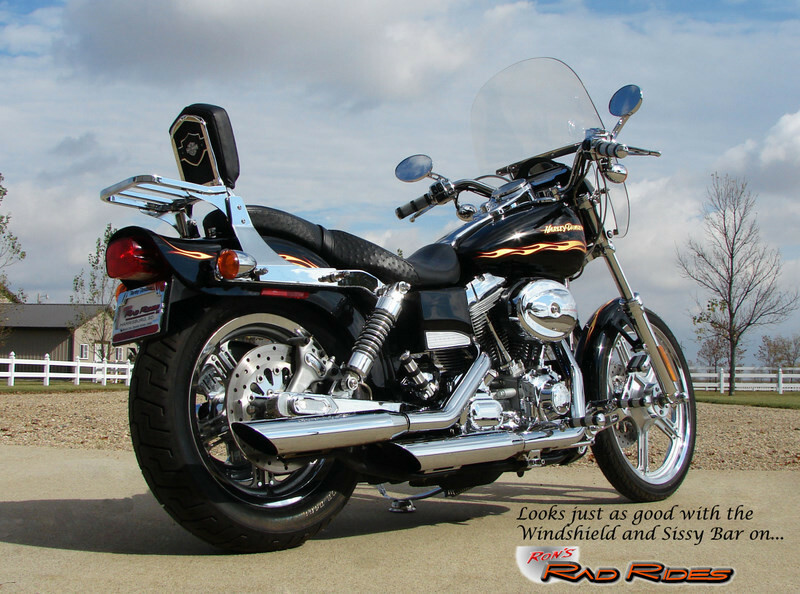 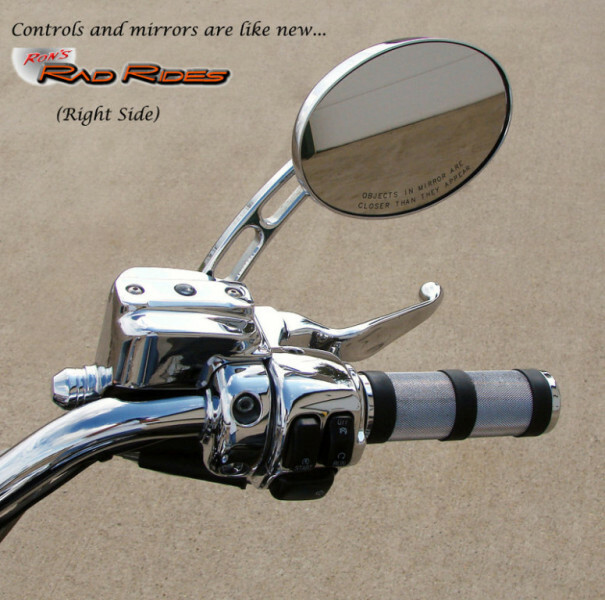 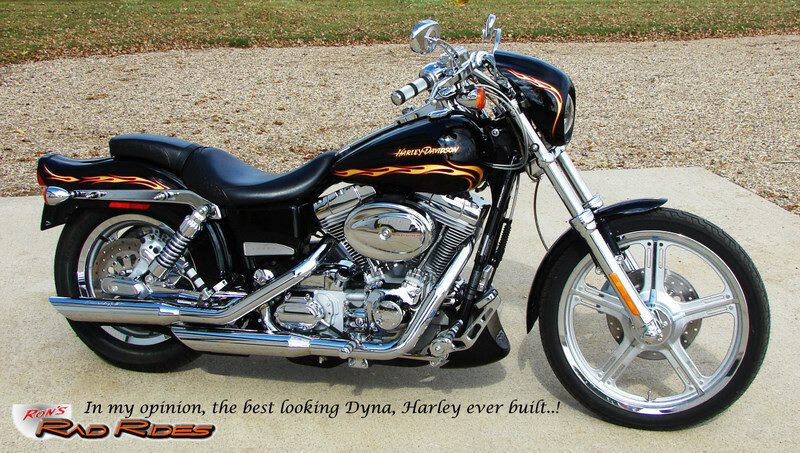 The FXDWG3 is based on the Dyna Wide Glide and is powered by a Twin Cam 88 motor. 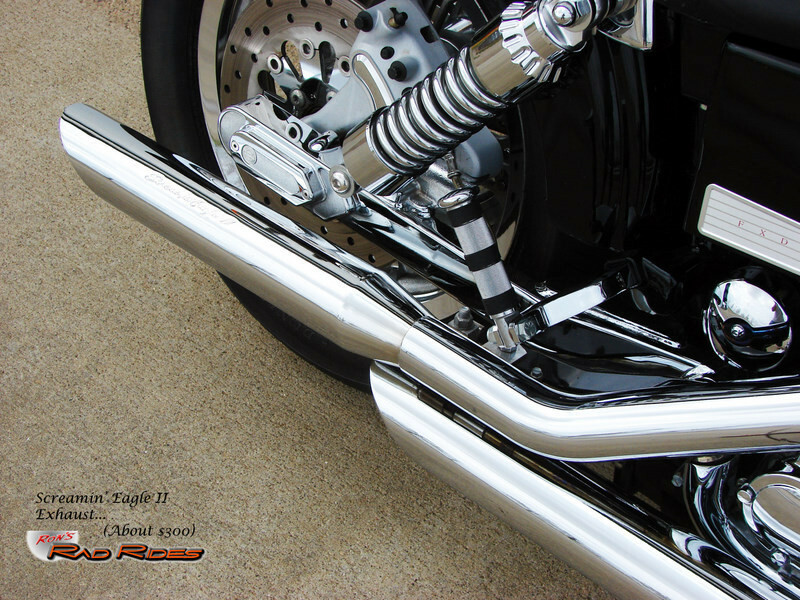 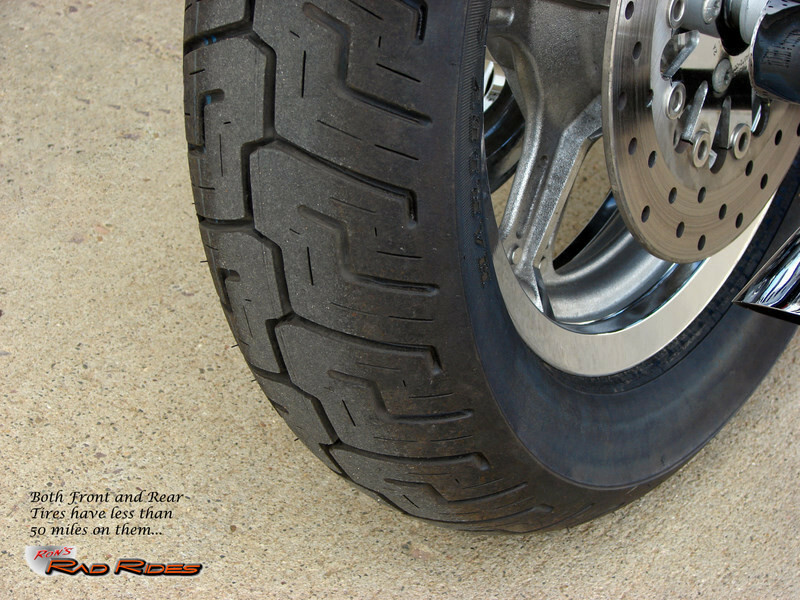 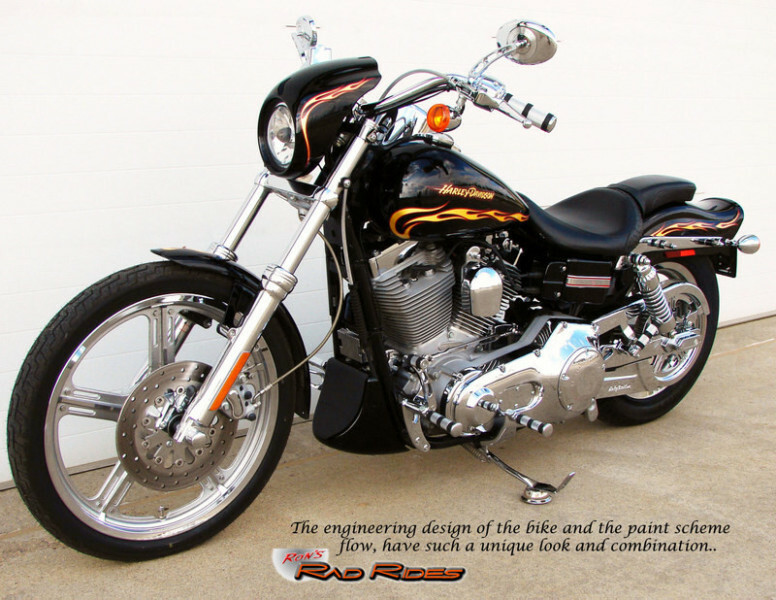 The factory slammed front and rear suspensions lower the bike for a road-hugging look and feel. 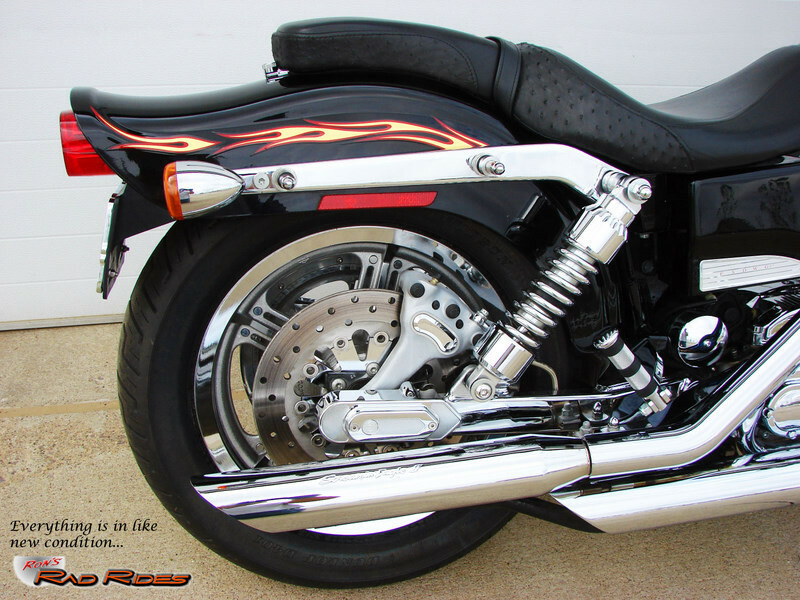 A full length Tank Console (designed by Willie G. Davidson), and the Silver-faced Speedometer, along with the LightningStar Wheels, slash-cut Exhaust and billet-style Turn Signals add to the drama of this visually impressive motorcycle. 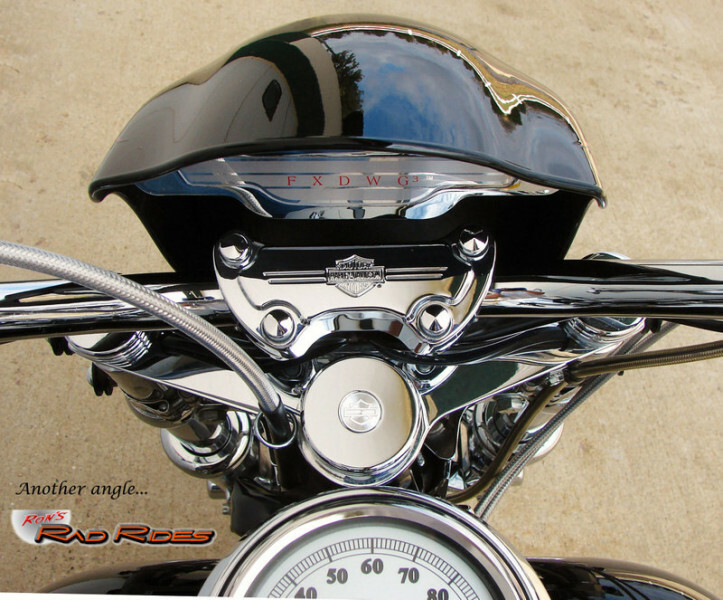 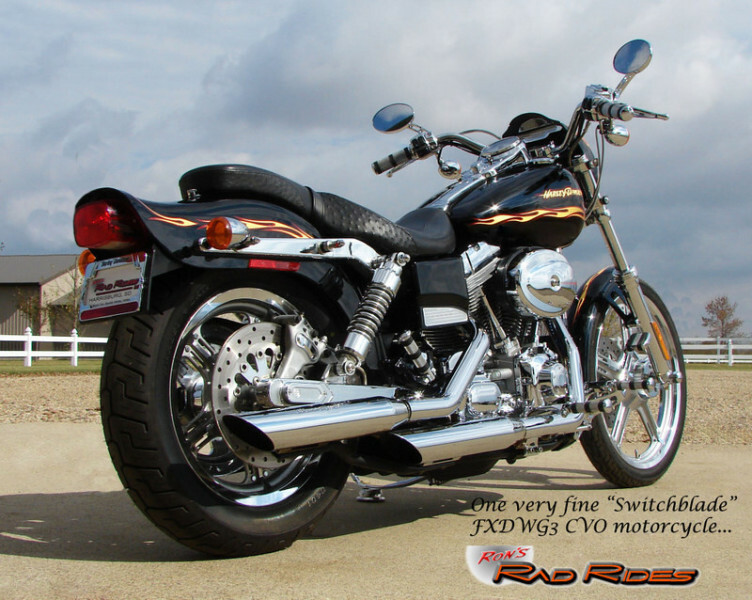 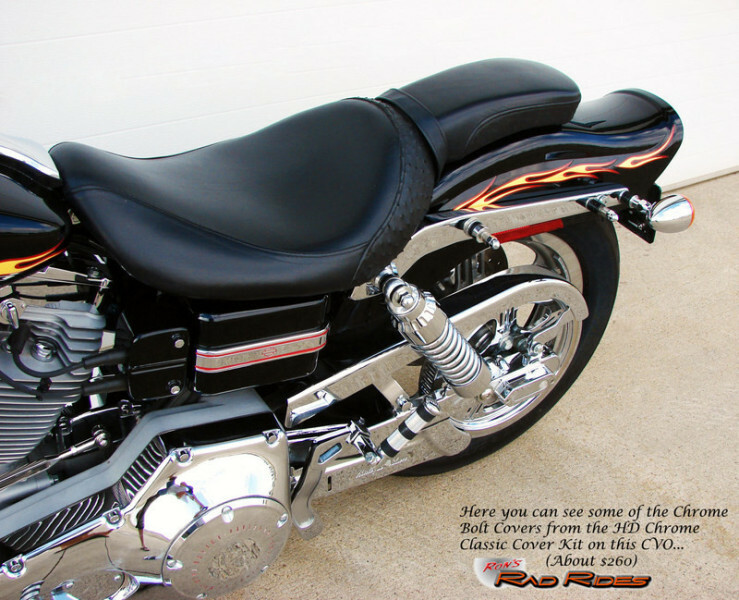 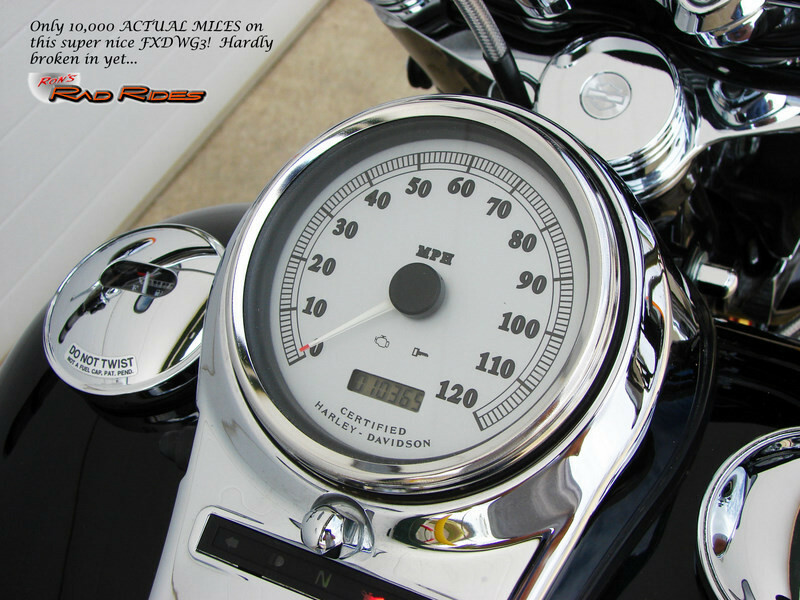 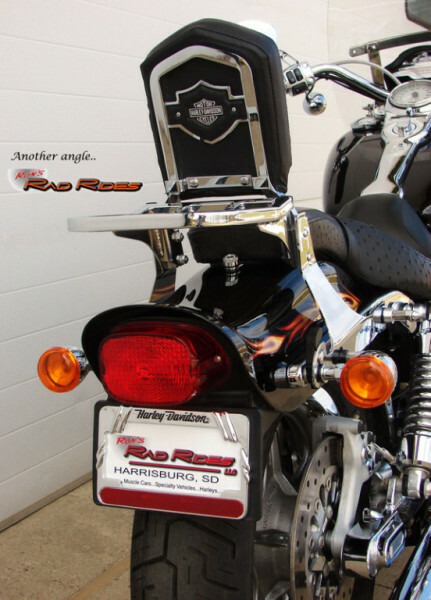 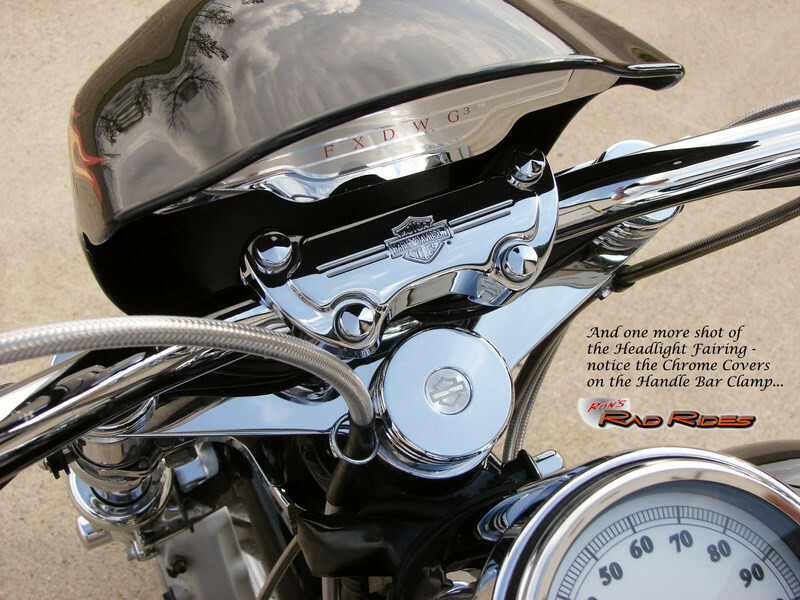 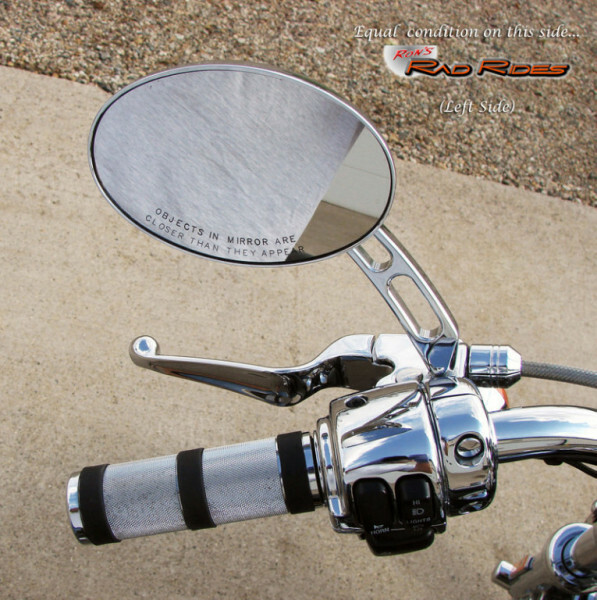 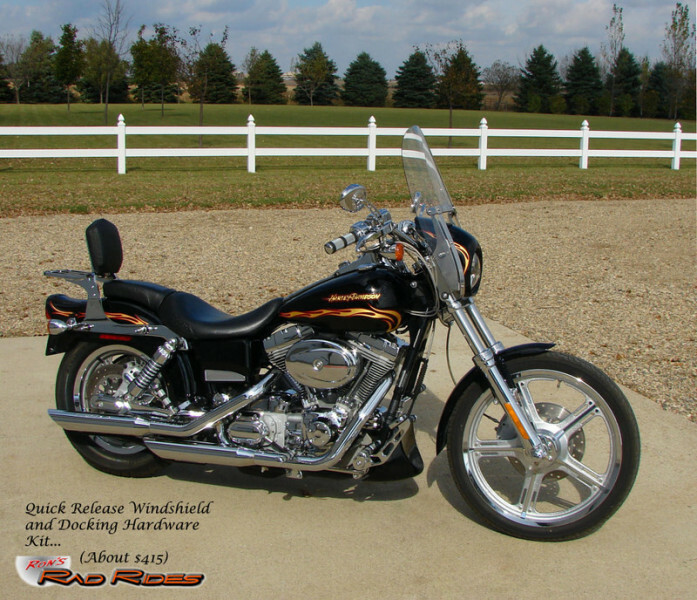 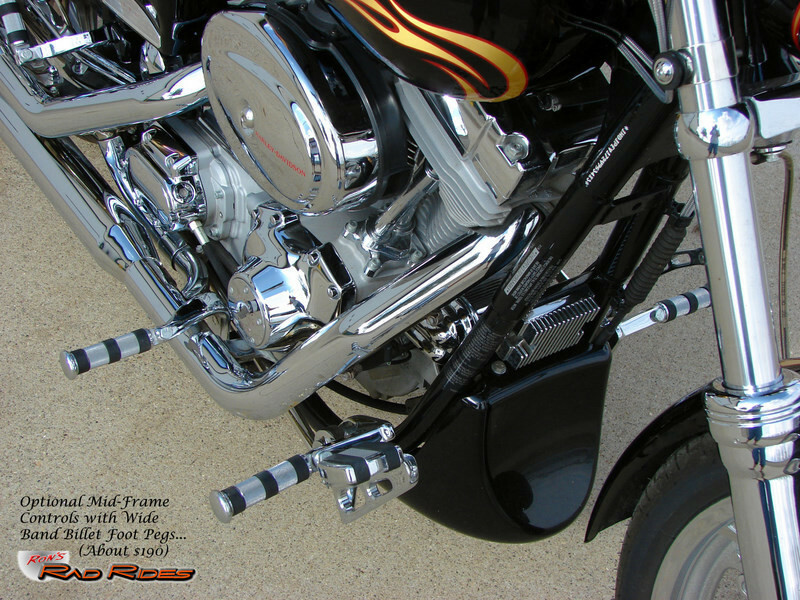 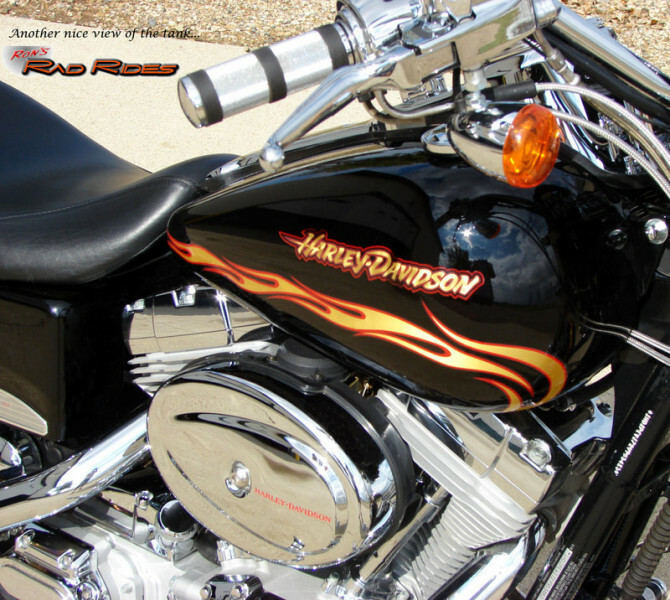 The FXDWG3 features more than $8,000 in Genuine Harley-Davidson custom parts and accessories. 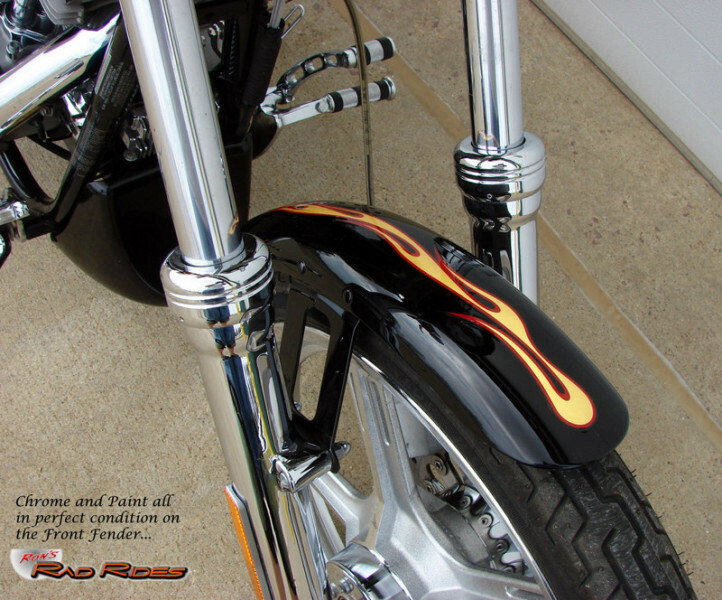 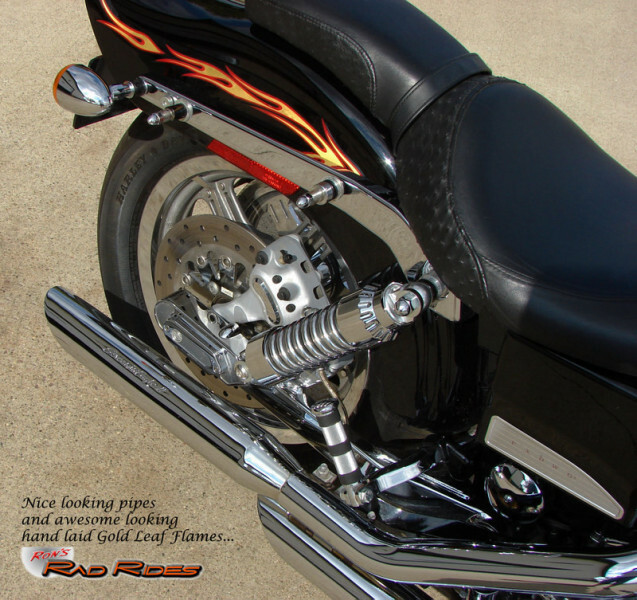 It is accented with Streaming Flames of Hand Laid Gold Leafing on the Fuel Tank, Fenders and Headlight Fairing. 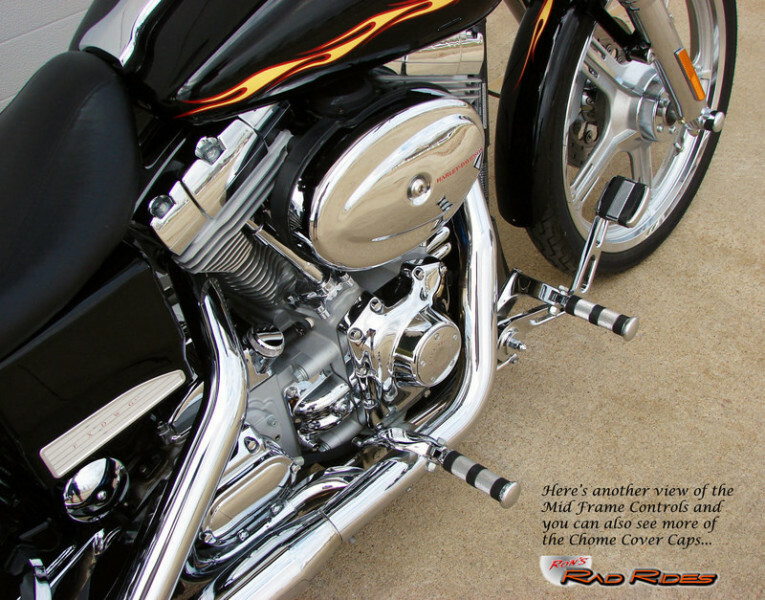 The powder-coated Frame, Chin Fairing, Battery Box, Coil Cover and Electrical Enclosure are all color-matched for added visual intensity. 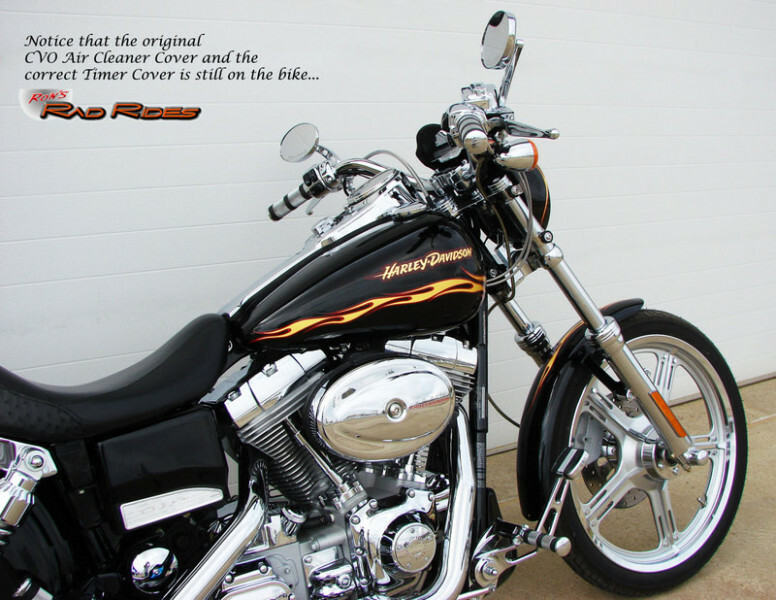 It's become pretty clear on what makes these FXDWG3's hold their value and that is primarily their ORIGINALITY. 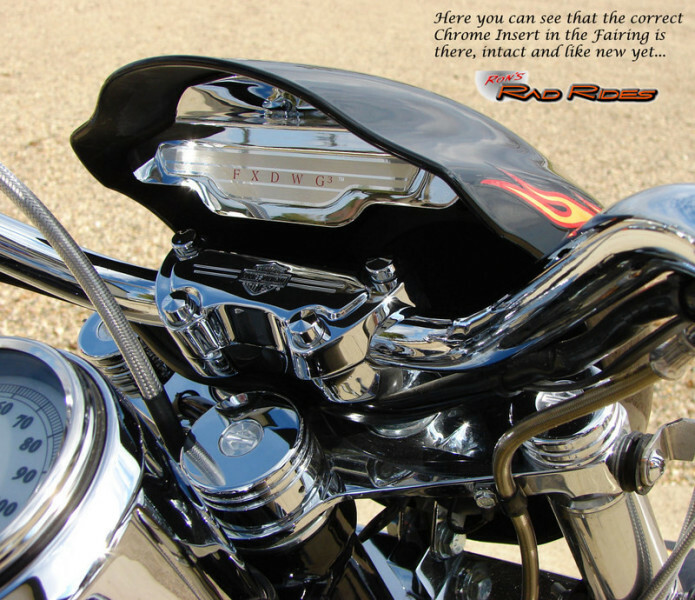 It's quite widely accepted to do some tasteful upgrades, but even with the few of these that are left, it's quite surprising how many of them are missing the original Headlight Fairing, have had handle bars changed and many other things that really take away from the original look of the bike, and consequently seriously affect their value. 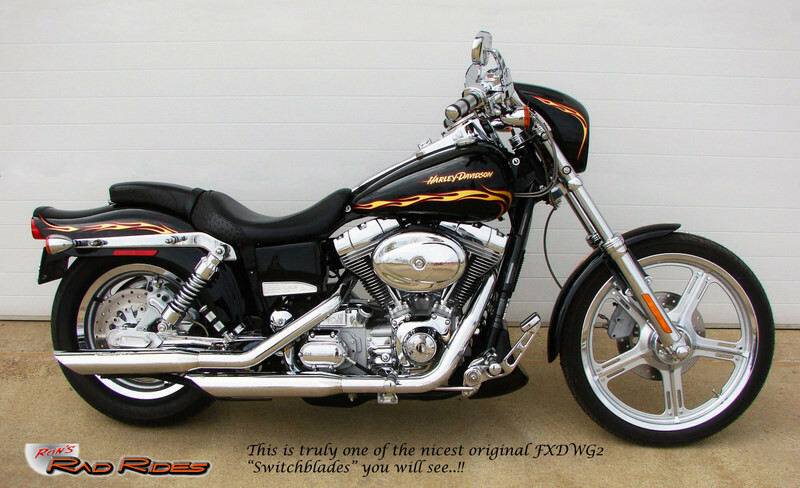 This FXDWG3 is very original. 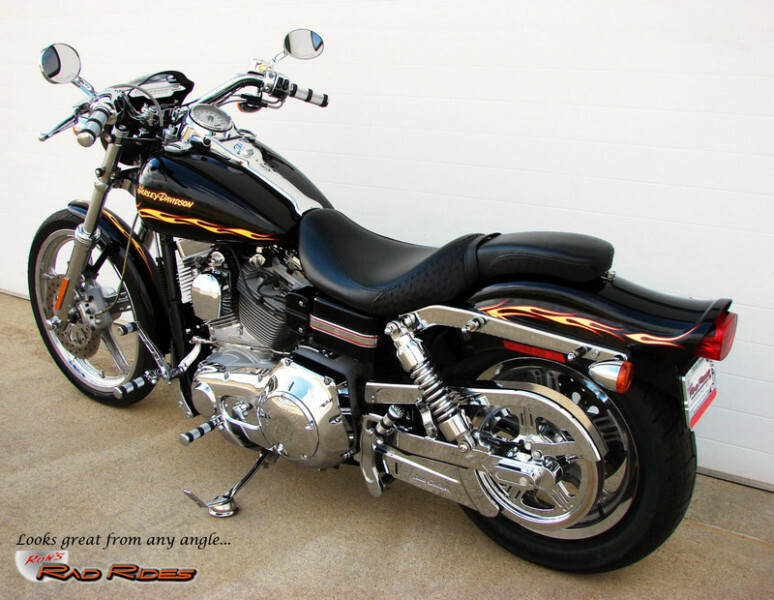 It does have some nice upgrades that don't detract from, but in fact only enhance the original design of the bike and simply add to the value. 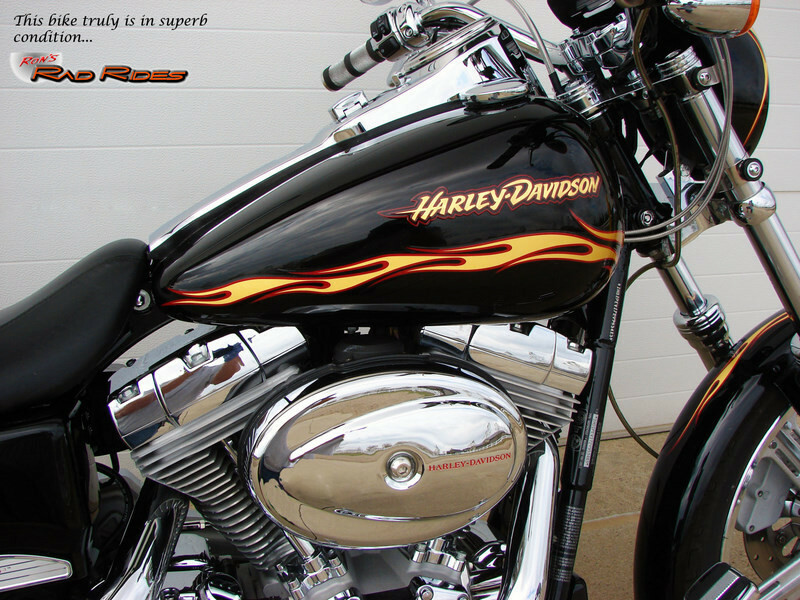 The bike is in VERY nice condition, has only 10,300 ACTUAL miles and just had a complete inspection by the local Harley Dealer. 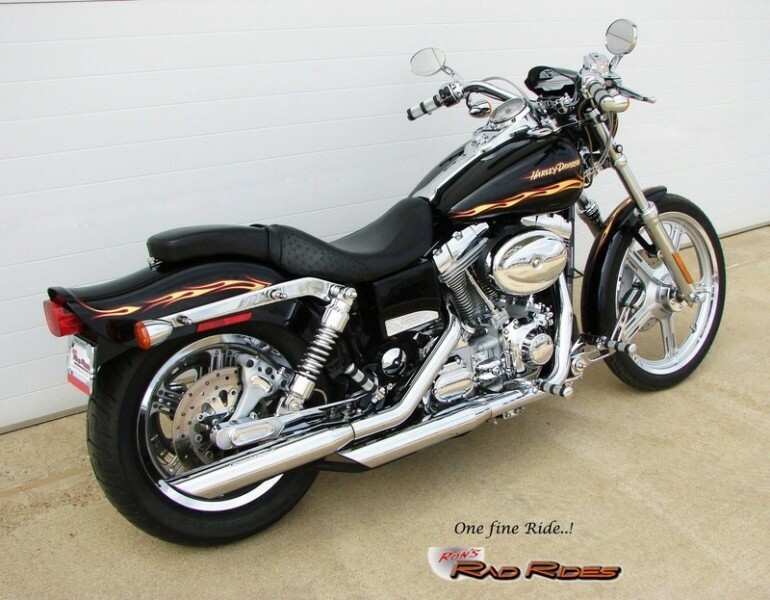 (This included brand new front and rear tires installed and balanced, new battery, fluids changed in engine, transmission and primary, adjust and lube all cables, tighten belt and chain, check fasteners, and check and adjust front end for a total of over $925.) 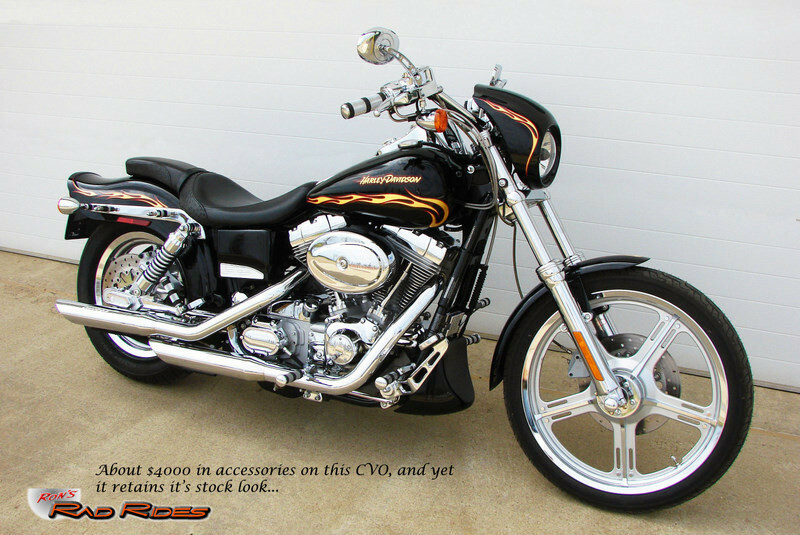 In other words, this super nice CVO is ready to go! 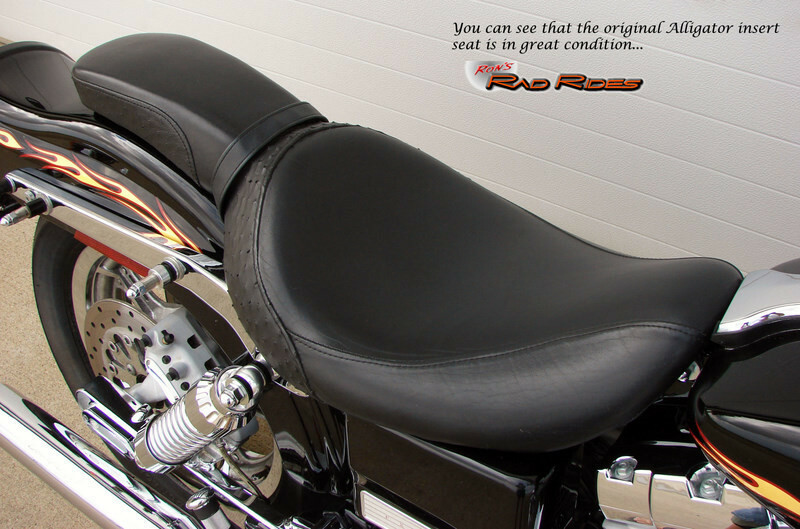 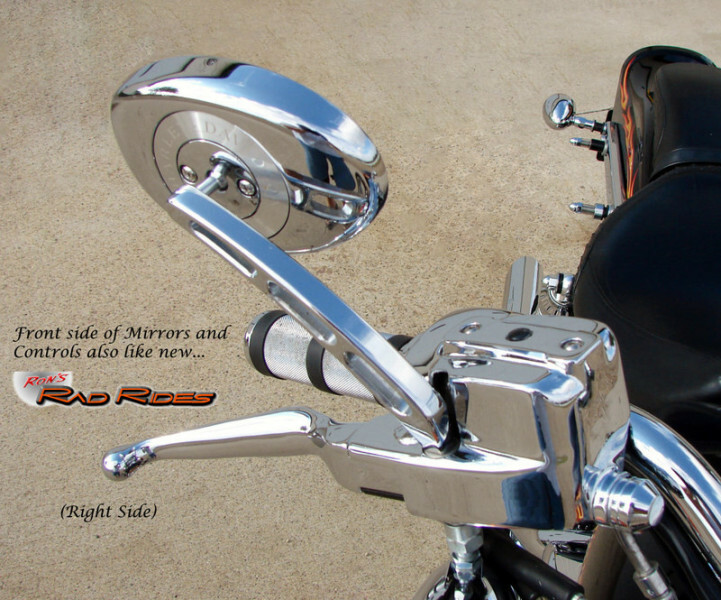 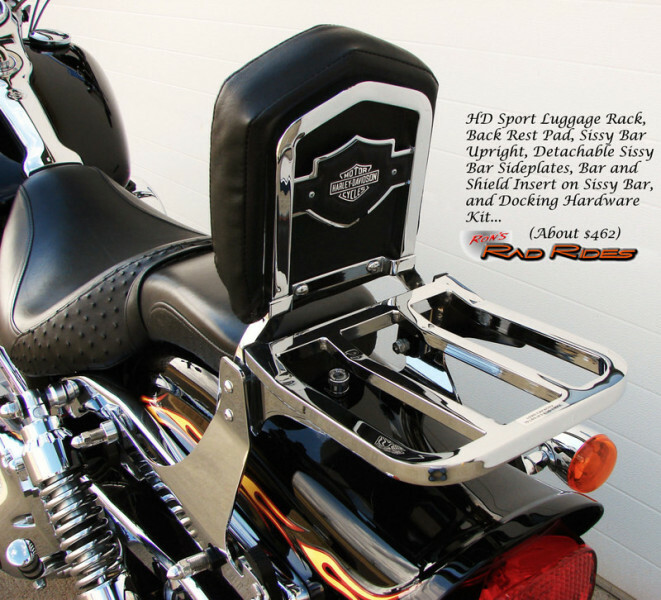 It also has a complete Classic Chrome Cover Kit that only adds to the look of the bike and also has a very nice HD Sissy Bar/Luggage Rack combo which is a Quick Release model. 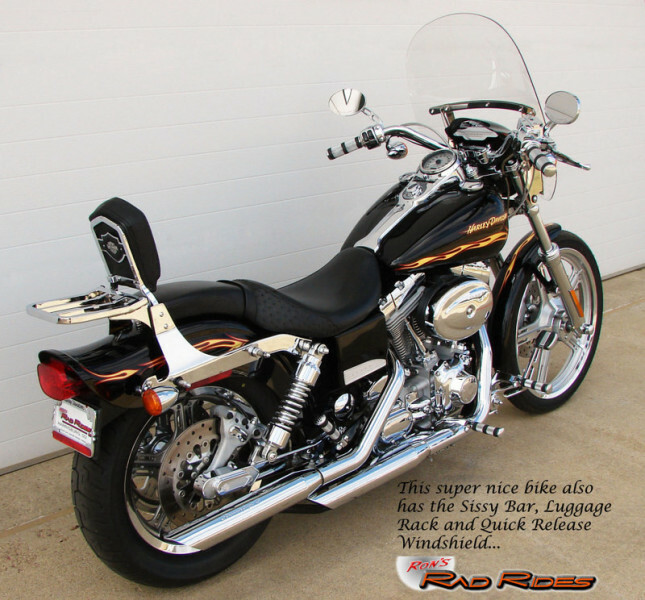 You can quickly remove the Sissy Bar/Luggage Rack combo and have the bike back to a completely stock configuration and have that classic look that only the FXDWG3 CVO has. 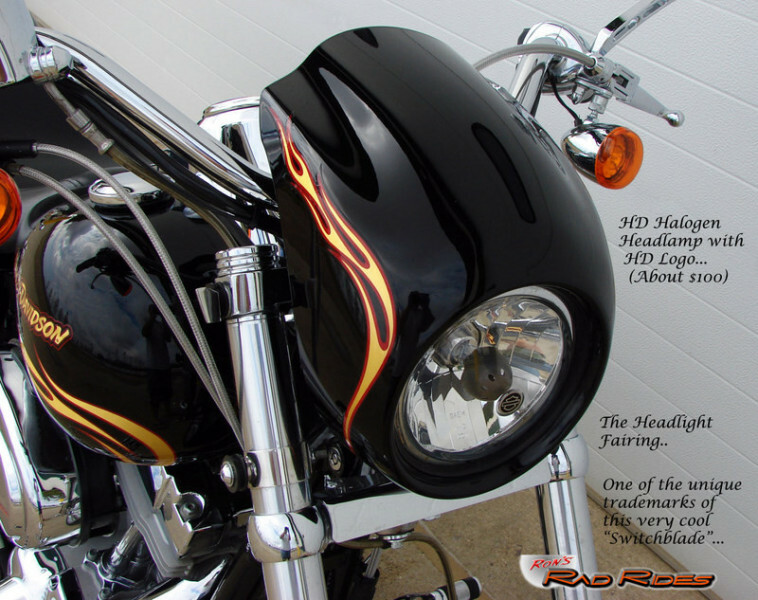 It also has an upgraded Halogen Headlight Lens and Screamin' Eagle II Slip On Mufflers for some additional power and better night vision capabilities.